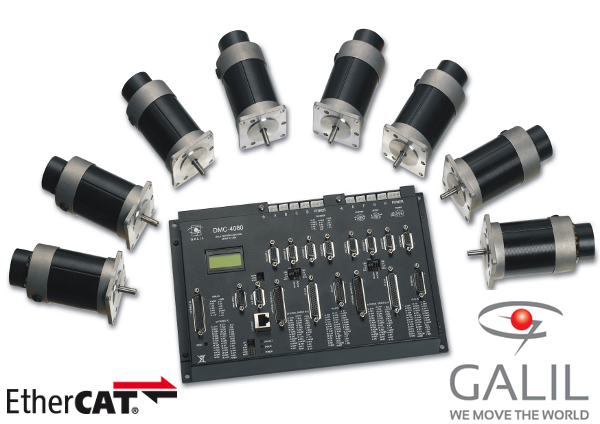 Galil Motion Control Inc originated the concept of digital motion controllers. It is consequently a world-class supplier of intelligent motion controller modules, for the control of servo motors and stepping motors. Galil controllers are available in a wide range, from single to multi-axis; standalone or PC-resident; low-cost OEM modules with integral servo amplifiers or stepping motor drivers; and a wide range of bus control protocols including PCI, ethernet, USB, RS232 and EtherCAT. There is a Galil Motion Controller for every application. Galil supports its controllers with sound software and has an excellent website for all historical and current product support. Galil also offers free tutorials (free registration now required) on motion control on the Galil website. Motionlink is proud to be associated with Galil Motion Control Inc as their UK Distributor, offering good local support for these excellent products.